Marshall Sugden & Sara Packett attended the Allianz graduation event in London to celebrate Sara achieving the Diploma in Insurance within 18 months as part of Allianz’s award winning scholarship programme. 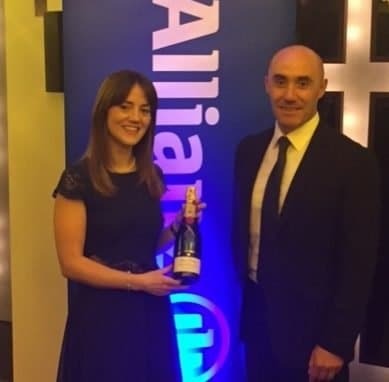 Sara was presented with a bottle of champagne and invited to join Allianz’s Scholarship Alumni to aid her continuing professional development. Congratulations from all at Trainsure!